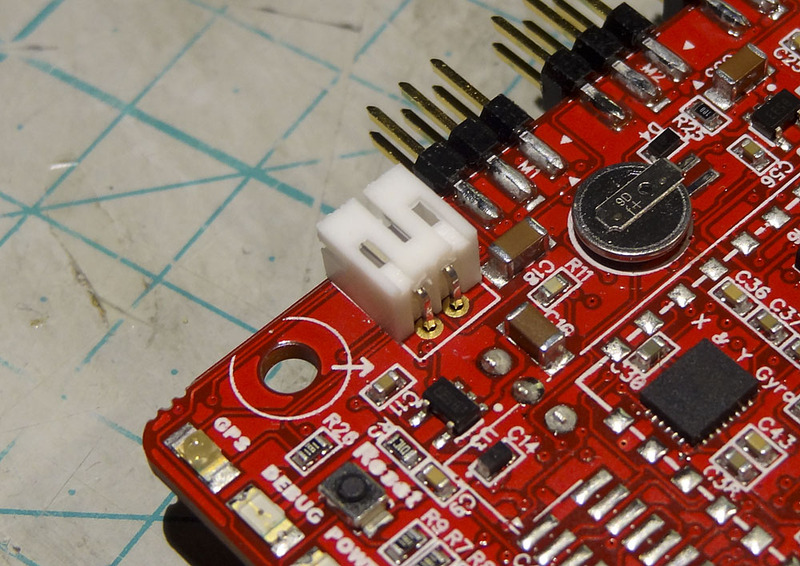 The AutoQuad board comes as an “SMT pre-assembled” kit – the end user has to solder all external connectors. 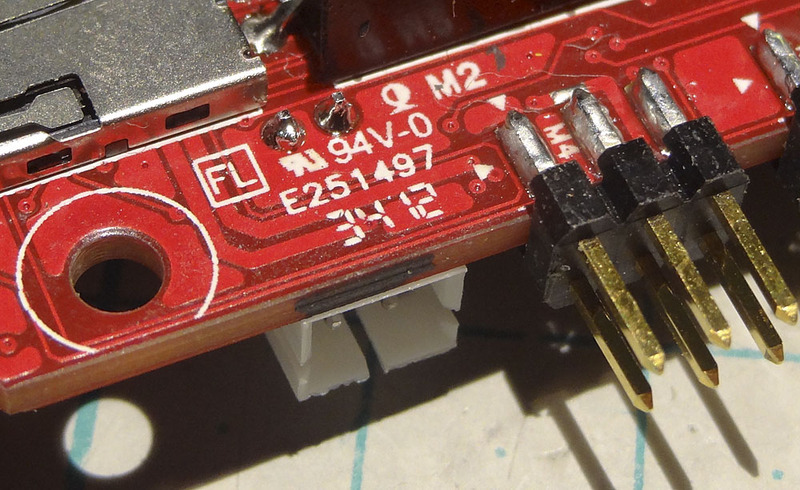 This is a short guide on how to do final assembly of your AQ board. The Recoms are only spot-glued with a little bit of hot glue to hold them in place during the assembly. 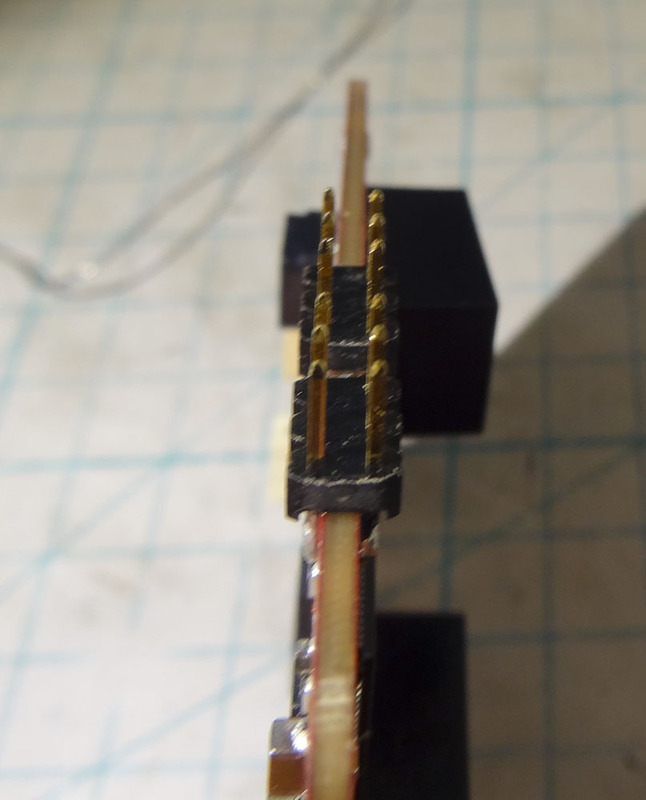 It is important to make sure that the Recoms are properly secured to the board, because the small glue spot is not meant to hold them secure in flight. There are several ways to do that. 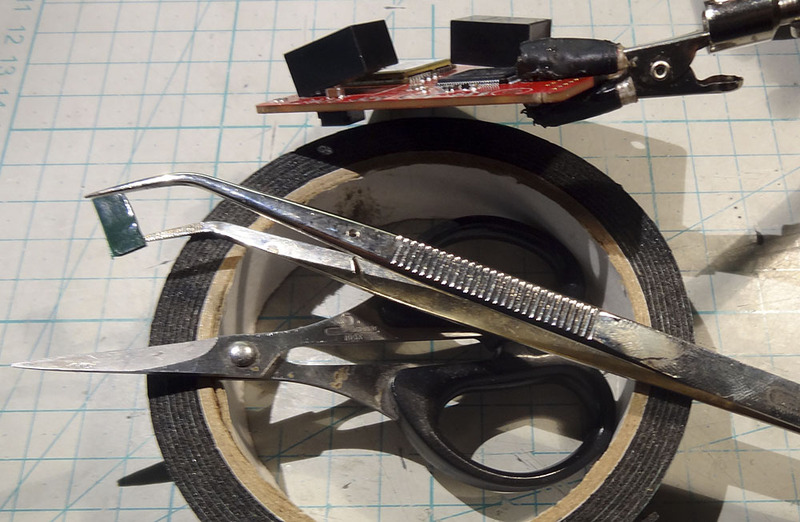 You can add more hot glue, or use old-fashioned contact glue. If using glue, choose one that still is a bit soft when cured. Foam-glues can also work well. Avoid epoxy or CA. 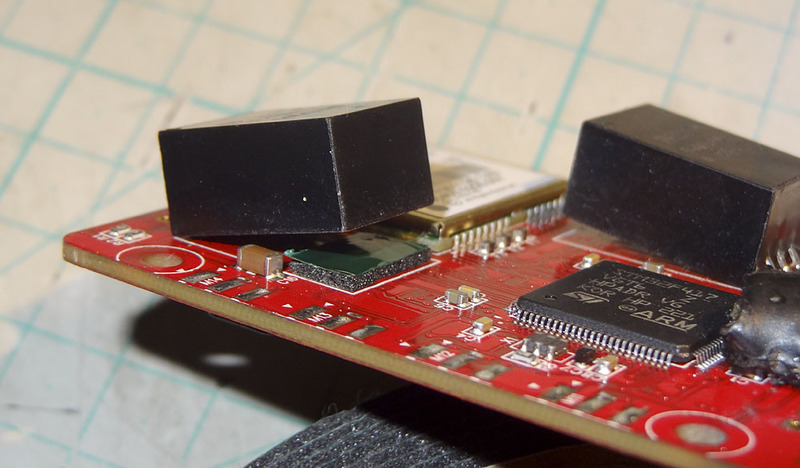 Some people struggle with this part – especially holding the 2×3 headers while soldering them onto the board can be a little challenging. 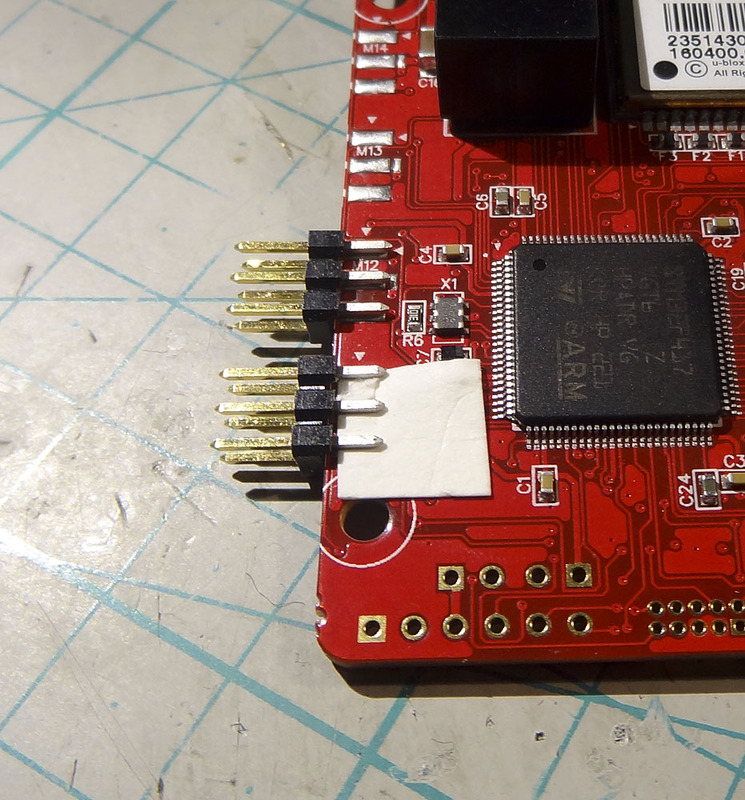 Turn the board over and solder the pins in place. Remove paper and solder the other side. All these components are though-hole types, so they are reasonably easy to mount. 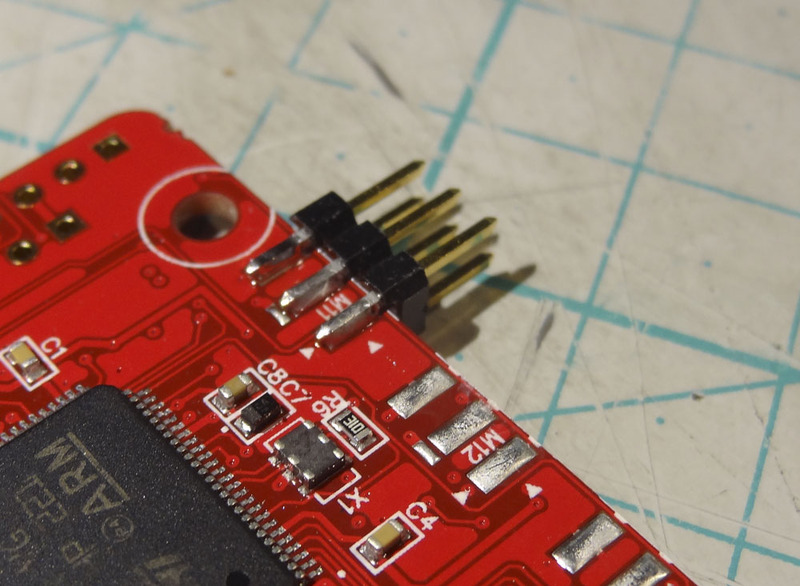 Make sure you don’t have any cold joints and take care to align pins with the board. Slide pins though holes and flip board over. 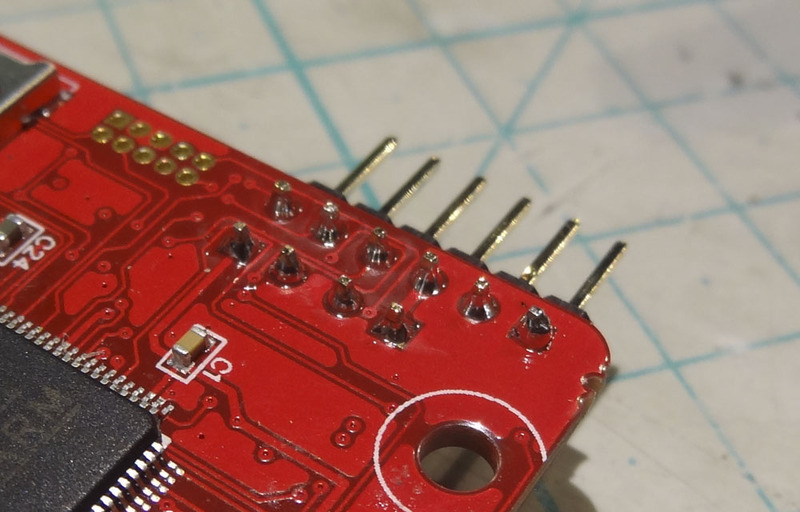 Start by soldering 1 pin in place and check alignment before soldering the remaining pins. The Vin connector is mounted in the same way. Slide it into hole, turn it over and solder the first pin. NOTE: Always cover your barometer/pressure sensor with a piece of open cell foam to protect it from airflow and light! Make sure it’s not too dense so the baro still can “breathe”. This page was created on 27-Oct-12 by jussi. Last modified on 17-Oct-14 by kinderkram.